Hypothyroidism is a chronic disease which needs active patient participation for optimal management. Compliance with suggested therapy is necessary in order to achieve euthyroid health. It is surprising, however, that this aspect of thyroid management has not been highlighted in detail in thyroidology literature. This brief communication discusses concerns of physicians as well as patients with hypothyroidism. It lists drug-related, patient-related, and physician-related factors which may impact compliance and suggests simple methods of improving concordance with therapy. The paper calls for acceptance of a patient-centered approach to the management of hypothyroidism. Background: Change in dosage timing and frequency of L-thyroxine administration may decrease the severity of "hypothyroid" symptoms and contribute to patient satisfaction. This clinical audit was planned to assess the patterns of L-thyroxine replacement in hypothyroid patients. 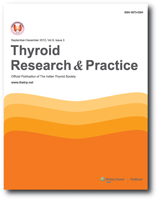 Materials and Methods: A pretested, structured questionnaire collecting information about age, gender, duration of disease, concomitant morbidity and therapy, patient concerns, and thyroid control was administered to 100 consecutive hypothyroid patients attending an endocrine clinic in Karnal, Haryana, North India. Analysis was carried out using the SPSS version 19.0. Results: The mean age of patients was 42.14 ± 13.14 yr, with an average duration of hypothyroidism of 5.12 ± 6.87 yr. Thirty-two subjects were euthyroid (thyroid stimulating hormone (TSH) 0.35-5.00 mIU/l).Eleven subjects reported a TSH < 0.35 and 57 reported TSH ≥5.00 mIU/l. The commonest dose of L-thyroxine used was 100 mcg/day (n = 35), followed by 125 mcg/day (n = 20). The mean total daily dose was 101.17 ± 24.91 (range 50-150) mcg/day. The daily dose per body weight was 1.452 ± 0.38 (range 0.67-2.56) mcg/kg). Nine patients were on atypical regimes: five took their medication in divided daily doses, two took it at night, and two preferred a time "two hours after breakfast and two hours before lunch." They shifted from early morning administration of L-thyroxine because of uneasiness (n = 5/9), palpitation (n = 2/9), and increased hunger (n = 1/9) post-tablet ingestion. The symptoms subsided after the timing or frequency of L-thyroxine intake was changed. Conclusions: Changing the time and/or frequency of L-thyroxine dosage helps in alleviating some of the distressful symptoms among the hypothyroid subjects. Objective: The thyroid gland is essential for metabolism and normal function of body cells, including the liver cells. It helps in the development and maturation of the hepatocytes and other body cells and tissues. This study investigated the effect of altered thyroid state on liver function. Materials and Methods: Rats were randomized into three groups: control, hypothyroid, and hyperthyroid rats. 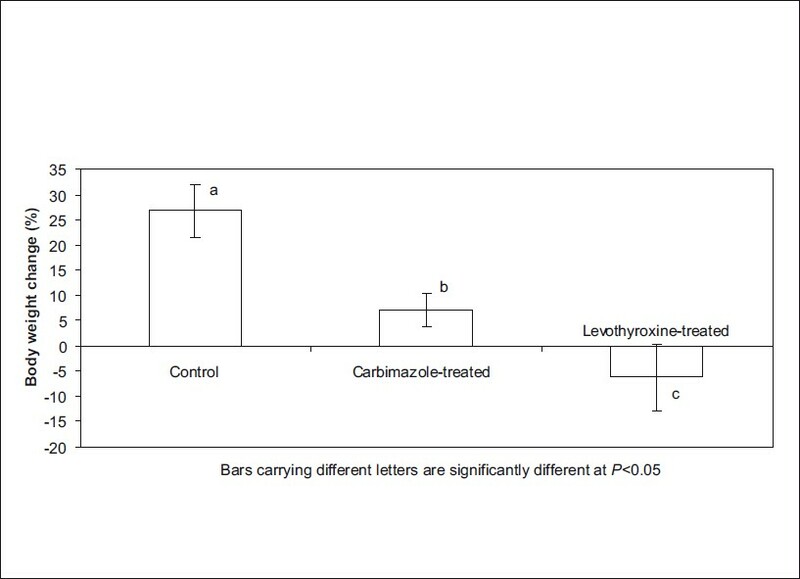 Results: Thyroid dysfunction led to lysis of the hepatocytes. Hypothyroidism caused significant (P < 0.05) reduction of body weight gain, serum total protein, albumin, direct bilirubin, transaminases, and gamma glutamyl transferase. Hyperthyroidism led to significant (P < 0.05) body weight loss. Hypothyroidism and hyperthyroidism were associated with significant (P < 0.05) increase in liver weight and diameter. Conclusion: This study reveals that although hyperthyroid state is not associated with altered liver function, hypothyroidism caused hepatic dysfunction. We therefore suggest that liver function indices should be monitored in altered thyroid states, especially in hypothyroidism. Background: There are many conflicting opinions regarding the effects of hypoxia on thyroid hormones in different situations. This study evaluates the effect of exercise-induced hypoxia on thyroid hormones and thyroid-stimulating hormone (TSH) in trained young men. Materials and Methods: The participants consisted of 17 healthy men, aged 20-24 years, with mean maximal oxygen uptake and body mass index of 48.6 ± 3.96 ml/kg/min and 21.6 ± 0.91 kg/m 2 , respectively. They did 30-min running on treadmill, at the intensity of 70% of maximal heart rate, in normoxia and three different levels of simulated hypoxic conditions at 2750, 3250, and 3750 m heights. The sessions were interspaced with 72-hour resting breaks. Blood samples for hormonal assays were obtained before exercise and at 0 h and 1 h after exercise. Results: Data analysis, using mixed models, showed no statistically significant hormonal difference among the hypoxic conditions (P > 0.05) except increased thyroxin levels following exercise in all sessions , which were significant only in normoxia and 2750 m height (P < 0.05), without any significant changes in serum triiodotyronine and TSH. Conclusion: With respect to different reports surrounding the effects of high-altitude-induced hypoxia on pituitary-thyroid axis (including stimulatory, inhibitory, or changeless effects), this study revealed only significant increased thyroxin level at 1200 (normoxia) and 2750 m heights, following exercise. These contradictory findings may be attributed to the degree of prescribed hypoxia, planning of natural or simulated height, activity level and type, and study duration. However, for a precise conclusion, further research is recommended. Polyglandular autoimmune syndrome (PGS) type III is a rare immune-mediated disorder. Common clinical presentation includes symptoms of hypothyroidism, diabetes, pernicious anemia, vitiligo, and autoimmune alopecia. 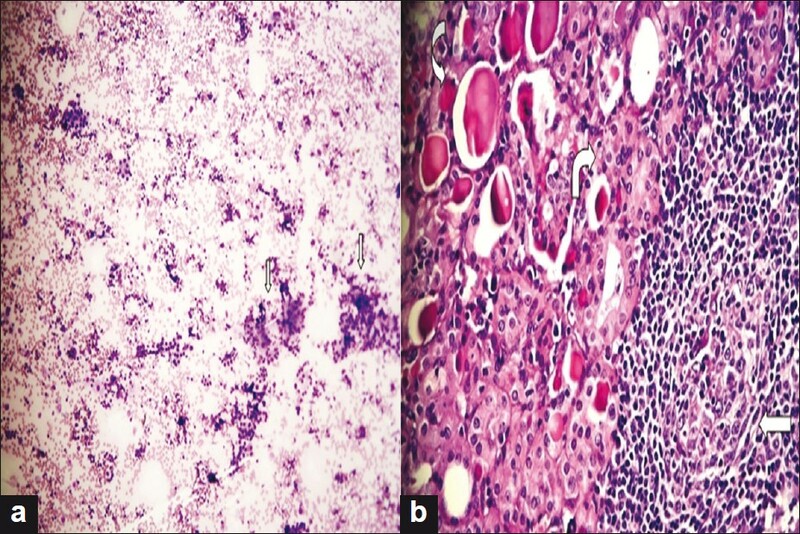 Other autoimmune disorders associated with PGA syndrome III are celiac disease, hypogonadism, myasthenia gravis, sarcoidosis, rheumatoid arthritis, inflammatory bowel disease, gastric carcinoid tumor, and hepatitis C. We report a case of PGA syndrome type III in an 18-year-old male. Hashimoto's thyroiditis was diagnosed when he was 13 years old. Clinical examination and laboratory findings revealed a PGS due to the presence of immune-mediated diabetes mellitus (DM) (type 1 DM), insufficient insulin hormone response, and thyroid autoimmunity. The patient had neither adrenal disease nor hyperparathyroidism. Therefore, we concluded that this patient has PGS type III A. When a patient presented with PGS, we should continue to consider other glandular hypofunction when evaluating patients with any type of endocrine hypofunction, as the risk of multiple glandular involvements is quite significant. Various therapeutic interventions if started early after diagnosis reduces the possible complications of the illness. Retrosternal goiters are classified into two groups. One is the truly primary intrathoracic or aberrant goiter. Presence of accessory thyroid tissue in the mediastinum of these patients group is congenital, with the blood supply derived entirely from intrathoracic vessels and it has no direct connection to the cervical thyroid gland. This primary intrathoracic goiter group represents less than 1% of surgically removed goiters. The much more common second group represents the acquired retrosternal goiter. It arises in the cervical thyroid gland and while growing it descends along a fascial plane, through the thoracic inlet into the mediastinum. Intrathoracic goiters usually present with clinical symptoms due to pressure on adjacent structures as the goiter enlarges within the rigid thoracic inlet. Asymptomatic large retrosternal, especially primary intrathoracic goiters are very uncommon. 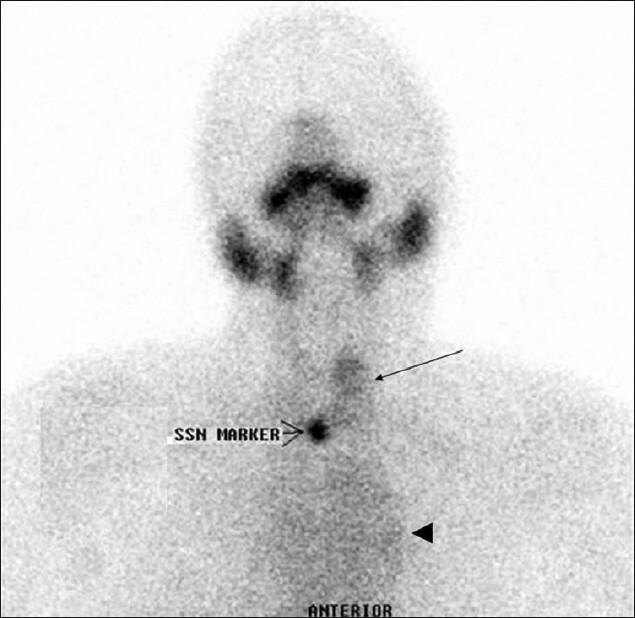 Here, we report a case of large retrosternal primary intrathoracic goiter found serendipitously on Technetium-99m (99mTc) pertechnetate radioisotope thyroid scan, which was missed on ultrasonogralhy (USG) neck in an asymptomatic patient presented with neck heaviness. Thus, here we emphasize the role of radioisotope thyroid scan over USG neck to diagnose retrosternal goiter. Jaundice in Graves' disease maybe multifactorial in etiology. Two such cases are discussed in this paper. The patient presented with icterus on commencement of neomercazole and improved on stoppage of the drug. The second patient went into hepatic encephalopathy following radio-iodine therapy. She was managed intensively with anti-encephalopathic and anti-thyroid measures. Thyroid hormone is required for the normal growth and maturation of the skeleton. The action of thyroid hormone on skeleton is varied, including direct chondrocyte and osteoblast stimulation, as well as potentiating the action of growth hormone on the bone. 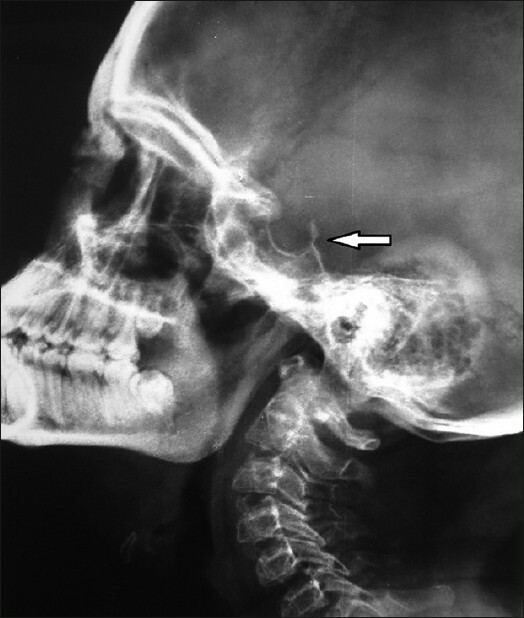 Juvenile hypothyroidism is evolving as the most common form of thyroid dysfunction in the growing age, and it has different radiological manifestations from that of congenital hypothyroidism. We present the skeletal X-rays of a 24-year-old man with juvenile onset autoimmune hypothyroidism (duration of illness of approximately 16 years), who came for evaluation of short stature.